Consumers and their families soon will be able to experience even more must-play games for the Wii™ system at an excellent value. Nintendo has announced the addition of four games to the Nintendo® Selects collection, a hot-selling series of fun, family-friendly Wii games offered at a suggested retail price of $19.99 each. Starting Aug. 28, the Nintendo Selects lineup grows to include Super Paper Mario™, Mario Strikers™ Charged, Punch-Out! !™ and Super Mario Galaxy™, which is recognized as one of the most acclaimed Wii games of all time. Three of the four new additions to the Nintendo Selects collection invite players to interact with Nintendo's iconic Mario™ character in imaginative and entertaining ways: Super Mario Galaxy is an out-of-this-world adventure in which Mario must travel through outer space to rescue Princess Peach™ from the devious Bowser™; Super Paper Mario offers classic Mario RPG action that can be switched from flat 2D worlds to a full open-world perspective; and Mario Strikers Charged finds the Mushroom Kingdom crew storming the soccer field for fast-paced athletic kicks. Also, the fan-favorite Punch-Out!! game delivers motion-controlled boxing thrills with a host of memorable characters. All four games feature multiplayer modes that let friends and family members have fun together. I'm surprised they are putting all the Mario games in the select line, but no doubt this is an awesome selection. New Wii owners are going to be set. I own all of them except Strikers, but I've heard that's good so maybe I'll check it out. Anyone know if you get Club Nintendo points for these games? Strikers Charged is awesome, I fully recommend it. I've put in close to 95 hours with the game online and with friends. I'm pretty sure the games come with Club Nintendo registration codes. Same. I haven't turned on my Wii in weeks. Maybe that would motivate me...for $20, can't be bad, right? I own all four of these already, but I'm glad Galaxy is finally dropping in price. I wish they weren't focusing on Mario so much though. Why not give Sin & Punishment or Wario Land or Metroid Prime Trilogy a second chance? Sure they wouldn't sell as much as some of these Mario games, but with a little marketing, a lower price point, and the Nintendo Selects banner, I think they could do alright. I own all of them, great bunch of games. 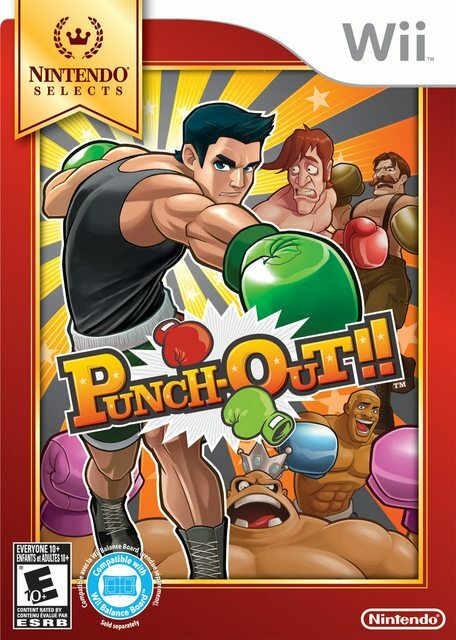 Everyone here probably owns Galaxy already, so I'll throw in a recommendation for the excellent Punch-Out!! Don't miss out on it. I'm glad Punch-Out!! is one of these games. Maybe I'll pick that up soon. Though I would like to try out the NES game first. Great news. I'm finally going to pick up Punch-Out. 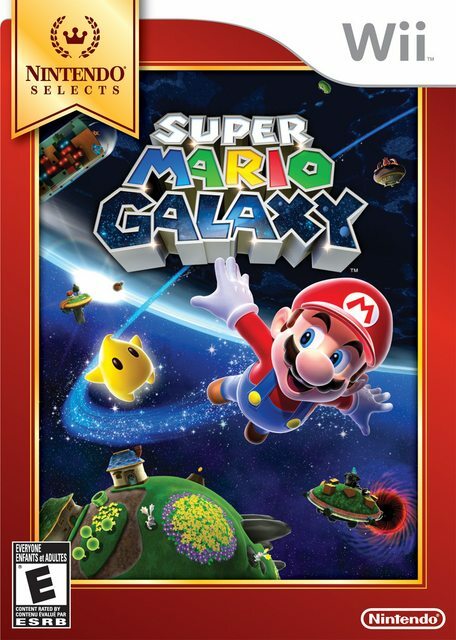 If Super Paper Mario is a RPG, Super Mario Galaxy is a space shooter. Getting Super Paper Mario and Punch Out!! I'm kind of annoyed you guys didn't already own Punch-Out!! Oh good, I haven't played Punch-Out!! 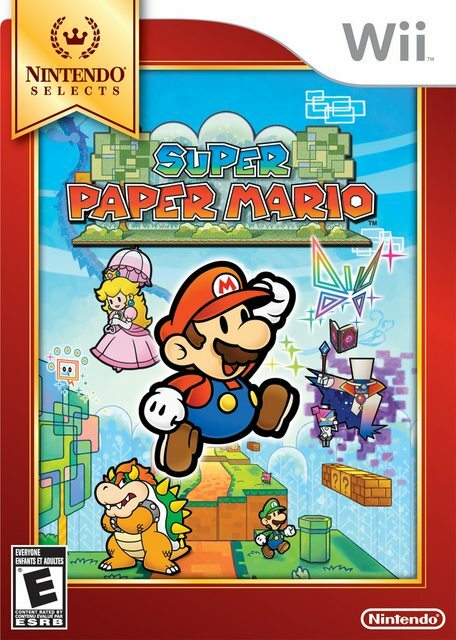 yet and I want to get Super Paper Mario back. I also haven't played Strikers, so this is all good for me. Got 'emmm. Great games. Strikers is incredibly difficult. Incredibly difficult? The AI in that game could beat the computers at NORAD. 100% of my NORAD knowledge comes from War Games. Only 90% of my knowledge of NORAD comes from War Games. The other 10% is from that website where they track Santa Claus. EDIT: But I say any computer that can track Santa Claus is awesomely powerful and shouldn't lose to the AI in a Mario game. But it would. Strikers is hard, is what I'm saying. @OrbitalBeard I never played the Punch-Out!! series as a kid, so I never felt like checking the Wii game out. Eh. Maybe about 10% for me. The rest is from Stargate SG-1. Might consider Punch-Out and I couldn't care less about SMS. A lot of games finally that I am interested in. Will get Galaxy and Punch-Out! down the road. Super Mario Strikers was ok IMO. The game had a lot of cheaters and a lot of unethical players who cheated the goalie to get goals but other than that the game was solid. 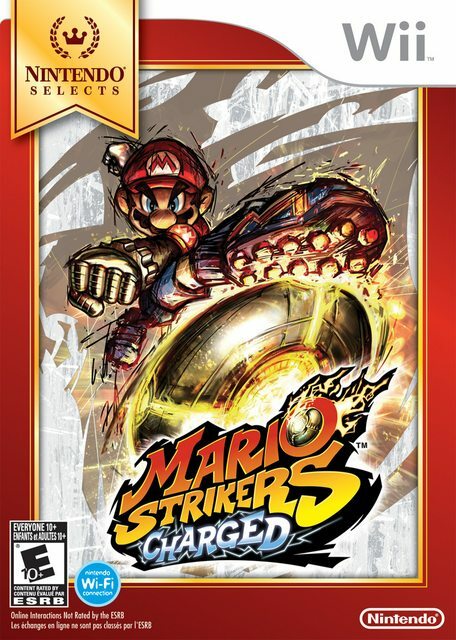 Mario Strikers Charged > Mario Kart, so go buy it for $20 you fools. Though @MightyOwned is right, don't play with randoms online. If you even find a game, it will probably have some exploit on the level of MKDS snaking that ruins the game for you. Probably multiple exploits. You should also get Punch Out because it's also amazing, but mainly to further prove your devotion to the mad geniuses behind Mario Strikers Charged.